R eversing police corruption that has tainted whole departments, shattered faith in law enforcement and compromised one of society’s most basic institutions is proving difficult, but not impossible. 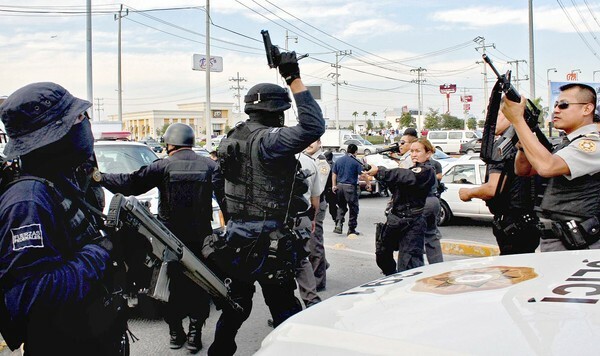 Reporting from San Luis Potosi, Mexico – The lie-detector team brought in by Mexico’s top cop was supposed to help clean up the country’s long-troubled police. There was just one problem: Most of its members themselves didn’t pass, and a supervisor was rigging results to make sure others did. When public safety chief Genaro Garcia Luna found out, he canned the team, all 50 to 60 members. “He fired everybody,” a senior U.S. law enforcement official said. But the episode shows how difficult it will be for Mexico to reverse a legacy of police corruption that has tainted whole departments, shattered people’s faith in law enforcement and compromised one of society’s most basic institutions.